Corporate Doctors Plus provides a complete range of corporate and occupational health services to organisations in Brisbane and surrounds. We specialise in coal board medicals, insurance medicals, workplace vaccinations and much more. We extend our holistic, evidence-based approach to the corporate sector to improve the health of staff and reduce time lost due to injury. Our services include pre-employment, coal board, driving, commercial driving, work and insurance medicals, workplace vaccination, treatment of work injuries and drug testing. 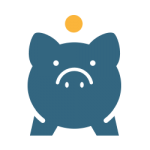 As a business, we understand financial budget constraints. We also understand that your employee’s health is important to your business’ bottom line. Injured and sick employees can impact on your company significantly either in sick leave, loss of productivity or rising insurance premiums. Our focus, is not only on the experienced medical management of workplace injuries but also on the prevention of injury by helping your employees with their overall health, fitness, emotional wellbeing and improving the culture within the workplace. Our experienced health professionals provide high quality Occupational Health services to your business. Our suite of health professionals consist of Occupational Health Doctors, Nurses, Physiotherapists, Occupational Therapists, Psychologists and more. Our team are able to perform Coal Board Medicals (registered as both QLD and NSW Coal board medical providers) and our doctors are Nominated Medical Advisors for the Health Surveillance Unit for Coal Mines. QLD and NSW Coal Board Medical Exams are a rapidly changing area and our team are up to date in all the latest requirements. Our team is registered to perform Respirator/Face Fit testing for the NSW Coal Order 43 medicals and for your occupational needs. We work in co-operation with a radiology clinic to achieve fast turn around times for Coal Board Medicals and ILO chest x-rays. We have a state of the art treatment room where we carry out drug and alcohol testing, hearing assessments, lung function tests and ECGs. We can fit your workers in at short notice (mostly same day) during the week, and on weekends if requested. QML pathology is on site 5 days a week.  Corporate Doctors Plus services the following Australian businesses. Our doctors have all worked in the Bowen Basin, visited mine sites and are familiar with the types of injuries encountered by mining industry employees. Our doctors are Nominated Coal Board Medical Advisors. Standard template for office worker, manual labour, driver. 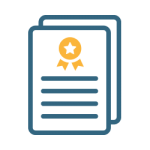 Personalised pre employment medicals – our doctors can design a pre employment medical individualised to suit your company’s needs. Assess procedures, injured worker and time off work data assessment. Accredited by Australian Workplace Drug Testing Services to provide Drug and Alcohol Testing. Provision and implementation of workplace drug and alcohol testing policy and procedures. This is a legal requirement when providing drug testing. On and Off site drug and alcohol testing. Health and wellbeing programs, fitness programs, weight loss, mental health, health checks, health promotion, educations sessions. Skin cancer screening – Vaccinations. Everything you need for Insurance Medicals. Medicals for Commercial and Heavy Duty Licences. Travel vaccinations for corporate clients. 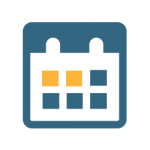 Same day appointments always available – we prioritise injured workers and will fit them in a timely manner. Minor trauma – wound care, suturing. Focus is on early return to the workplace which is facilitated by an individualised rehabilitation program which includes a suitable duties plan and estimated time off work. Communication with the worker’s employer is crucial in this process. Preventive health initiatives like workplace influenza vaccinations have been shown to reduce sick days. To reduce down time our doctors can attend your workplace and do the vaccinations on site. We provide all travel vaccinations and individualised travel packs for you or your employees should you require them. Pre-employment medicals have been shown to save companies money by identifying health issues in potential employees that may make them unsuitable to certain jobs, or by making you aware of pre-existing conditions. Are your work cover insurance premiums or absenteeism rates rising? Can the morale in your workplace use with a boost? We can design a program to improve the wellness rates at your workplace. Wellness initiatives have been shown to improve performance, reduce sick days and reduce absenteeism. Our past clients include real estate companies, aged care companies and infrastructure companies. Family Doctors Plus has qualified and experienced health professionals ready to provide high quality services to your business in a timely manner. Our doctors are experienced in carrying out pre-employment, employment and coal board medicals. We can also design return to work programs in collaboration with our physiotherapists and psychologists when needed. Dr Fiona Raciti and Dr Maria Boulton have extensive experience in the field of occupational medicine. As well as being Fellows of the Royal Australian College of General Practitioners, they have both completed the Monash University Certificate in Clinical Occupational Medicine and are also Nominated Medical Advisors for the Health Surveillance Unit for Coal Mines. They understand the importance of the culture of the workplace and how the complexities of occupational medicine influence the management of injured workers. Both Dr Raciti and Dr Boulton recognise an individual, evidenced based approach is essential in providing cost effective, successful treatment and return to work plans. 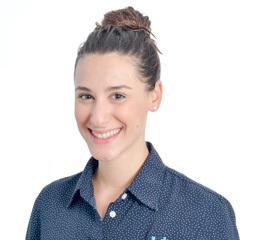 Dr Fiona Raciti completed her medical degree with Honours at the University of Queensland and has a fellowship from the Royal Australian College of General Practitioners. She completed her training in Bundaberg and values the experience and special skills gained from working in a rural environment. Dr Raciti has a special interest in women and children’s health, travel medicine and occupational medicine. 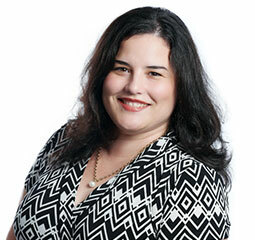 She is passionate about continuing her education to provide up-to-date evidence based care for her patients. 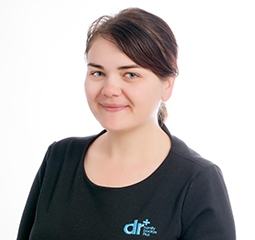 Dr Raciti has a Diploma of Child Health and enjoys seeing children with a wide range of health concerns. Dr Raciti is a founding member of the Australian Lifestyle Medicine Association. Dr Fiona Raciti has completed a Certificate in Clinical Occupational Medicine through Monash University and is confident in managing a variety of occupational health matters. She can create rehabilitation plans for injured workers and is particularly focused on early return to the workplace. Dr Raciti is able to assist your workplace in creating a pre employment screening program and offer advice and recommendations on existing workplace programs. She can perform site visits and workplace assessments to assist in pre employment screening or to guide recommendations for injury prevention. Dr Raciti in an AMA (Appointed Medical Advisor) and is registered to perform both Qld and NSW Coal Board Medicals and Respirator Face Fit Testing. Dr Raciti believes anyone can take charge of their own health and wellbeing with the right skills and education. Dr Raciti welcomes new patients and looks forward to caring for you and your family at Family Doctors Plus. Dr Maria Boulton has enjoyed working in general practice for 16 years. She completed her medical degree at The University of Queensland in 2002 and is a Fellow of the Royal Australian College of General Practitioners. 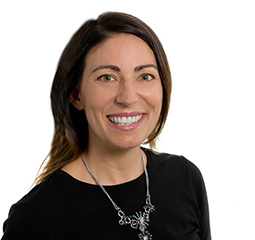 Dr Maria Boulton is a regular guest on Afternoons with Katherine Feeney on ABC Brisbane Radio 612AM where she discusses the latest in health news affecting the local community. Dr Maria Boulton is experienced in all aspects of general practice. She worked at the Mackay Well Women's Clinic which specialises in contraception, insertion of contraceptive implants, preconception advice, fertility, menopause, pap smears and osteoporosis. She has also worked as a surgical assistant. Dr Maria Boulton completed the Healthcert Advanced Certificate of Skin Cancer Medicine and Professional Certificate of Clinical Procedures and is experienced in skin cancer screening and management. She completed the Monash University Certificate in Clinical Occupational Medicine Short Course and is a qualified AMA (appointment medical advisor) and is able to perform work/pre employment/coal board medicals (both QLD and NSW coal board medical) and provide travel vaccinations. Dr Maria Boulton has always enjoyed working with babies, children and young adults, all the more so since starting her own family. She has a special interest in the management of food allergies, eczema, anaphylaxis and asthma in children, and how to prevent these. She has provided education sessions on asthma, anaphylaxis and menopause to community groups and primary schools. She is a great support for new parents and is very popular with children. Dr Maria Boulton is passionate about preventive medicine, continuity of care and ongoing education. Together with Family Doctors Plus’ health coach Beatrice Peters, she is co-founder of “healthtalks” and holds frequent seminar sessions aimed at empowering people to manage and understand issues such as menopause, digestive health, fatigue and weight loss. Dr Maria values good communication between patients, doctors, allied health providers and specialists and works together with high quality health care professionals to improve her patients' wellbeing. 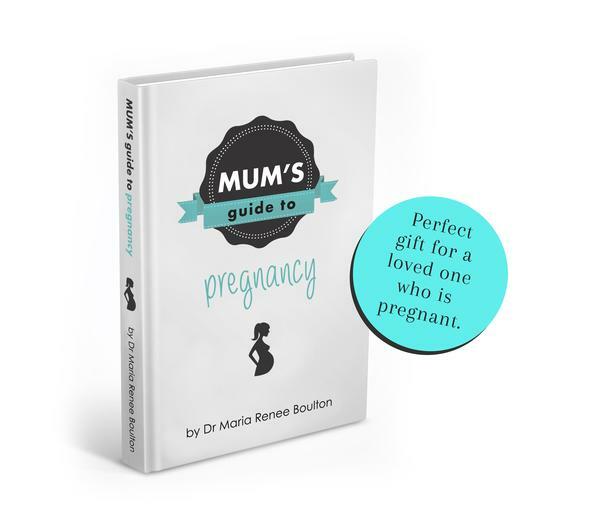 Dr Maria Boulton has written a book called “Mum’s Guide to Pregnancy". This book is a summary of the up-to-date, practical medical advice that she is known for, delivered in her warm and caring manner. Dr Maria’s book aims to empower women with the knowledge they need to help them through the pregnancy rollercoaster and be well informed on how to improve their health and their baby’s health. Dr Maria Boulton is a founding member of the Australian Lifestyle Medicine Association and a member of The International Society for the Developmental Origins of Health and Disease. She is a registered Nominated Medical Advisor for the QLD Department of Natural Resources and Mines. She has completed an Advanced Certificate in Skin Cancer Medicine and a Professional Certificate of Clinical Procedures through Healthcert. Together with Dr Fiona Raciti she won the 2017 Qld Telstra Business of the Year and New Business of the Year and is one of the 100 Faces of Small Business Qld for 2018. She was a finalist in the 2018 Brisbane Lord Mayor's Business Award in the Businessperson of the Year category. Dr Maria Boulton is happily married with 2 children (Family Doctors Plus is her third child), 2 furry children (dogs) and enjoys reading in her spare time. Mum’s Guide to Pregnancy is an informative guide for expecting parents. As you read through this book you feel like you are sitting with a very caring, compassionate and very well informed friend who is holding your hand every step of the way. All those questions you have buzzing around in your mind are all set out in this book with thoughtful and well researched answers. A must read for all parents-to-be and new parents. 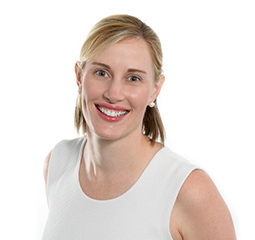 Dr Angela Smith graduated from Griffith University in 2010 and went on to work at various major hospitals in Brisbane before completing her Fellowship in General Practice. Angela worked as Occupational Therapist for several years prior to commencing her medical degree. Angela enjoys all aspects of General Practice with a particular interest in child and adolescent health, women’s health, preventative and general medicine. Angela is holistic, down to earth and thorough in her approach to patient’s and their health and has a genuine interest in supporting patients on their journey to achieving better health outcomes. In her spare time Angela enjoys spending time with her husband and three young children and keeping active. Dr Vee Maliyasena MBBS (Hons) FRACP is an experienced Respiratory Physician who specialises in the management of adults with all types of Respiratory disorders. She is committed to providing holistic, evidence-based care for her patients. 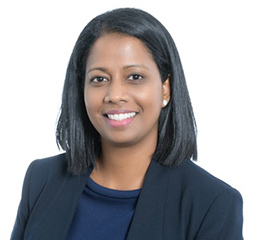 Dr Maliyasena graduated from Monash University with Honours in 2003, before undertaking her residency and basic physician training at Royal Prince Alfred Hospital in Sydney. She completed her specialist training in both Respiratory and General Medicine (working at large teaching hospitals across Australia including Royal North Shore, Royal Perth and The Prince Charles Hospital), and was admitted as a Fellow of the Royal Australasian College of Physicians in 2012. During her training, Dr Maliyasena also undertook research with the Queensland Centre for Pulmonary Transplantation and Vascular Diseases based at The Prince Charles Hospital. Her research has been published, and she has presented her work at national conferences. Dr Maliyasena was a full-time Staff Specialist at The Prince Charles Hospital until early 2018 when she left to establish her private practice. She currently consults at Family Doctors Plus in Windsor and Moreton Bay Medical Centre. Dr Maliyasena cares for adult patients with all types of Respiratory disorders, and utilises her General Medicine training to provide comprehensive and holistic evidence-based care for her patients. She is a member of the Royal Australasian College of Physicians, the Thoracic Society of Australia and New Zealand, the European Respiratory Society and the Internal Medicine Society of Australia and New Zealand. Dr Maliyasena enjoys teaching medical students and is a Senior Lecturer with the University of Queensland. She is also actively involved in supervising and mentoring physician trainees, and was the Director of Advanced Training (General Medicine) at The Prince Charles Hospital during her time there. When she is not working, Dr Maliyasena enjoys photography, dance, reading and gardening. Tegan begun her career in finance however after 8 years decided to follow her passion for people over numbers. As a mature aged student Tegan completed her qualifications as an Enrolled Nurse and continues to further her education. She is currently studying dual Bachelor of Nursing and Public Health degrees at QUT. Tegans' passions include health promotion, chronic health and wound care. Being the eldest in a family of 12 Tegan is both very caring and confident when treating our youngest of patients. Lisa's passion for Aged Care led her to a Degree in Nursing. She spent her first few years working in several medical and surgical specialties including Psychiatrics and Rehabilitation. Her interests in Pediatrics, Oncology and Psychological/Dementia care has led her to General Practice with a focus on promoting mental health and emotional well-being. Lisa prides herself on developing a professional and therapeutic rapport with patients. Her friendly approach and playful manner is also loved by children who attend the clinic. Lisa is also currently completing her Bachelor Degree in Psychology at QUT.